This is far more significant than originally thought. 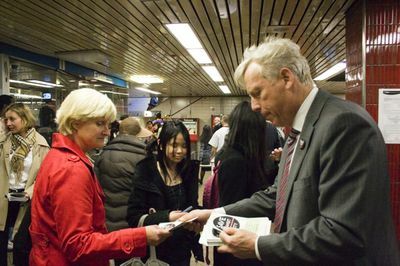 Instead of embracing a transit compromise, council will willfully overturn Rob Ford’s day-one directive that unilaterally killed Transit City. Where the Port Lands compromise and Josh Colle’s budget amendment at least allowed the mayor to claim some control over the narrative, this will be a total and complete rebuke of the mayor’s agenda. This kind of thing is unprecedented in several different ways and it should serve to emphasize the question people have been asking since the budget vote: what do you call a mayor who can’t control council? Momentum has been building for weeks on the transit file. 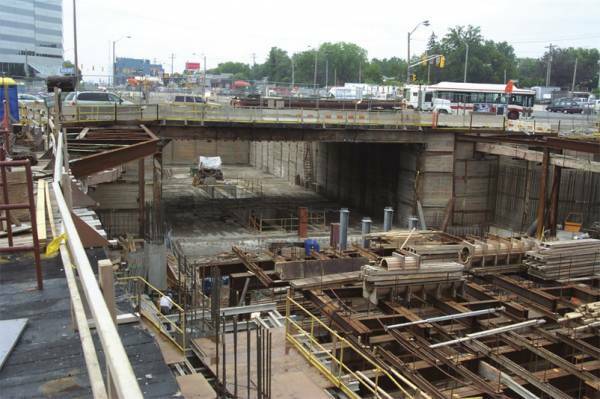 Things came to a crescendo yesterday when urban experts like Paul Bedford and Ken Greenberg released an open letter demanding council back away from Ford’s all-underground dream. 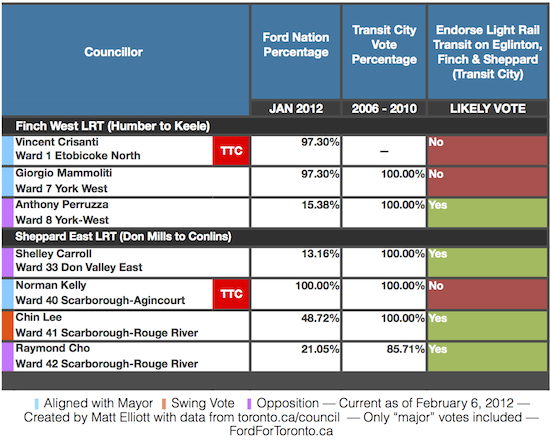 Even Nick Kouvalis, the mayor’s former chief of staff, acknowledged that Rob Ford would lose a vote on transit. 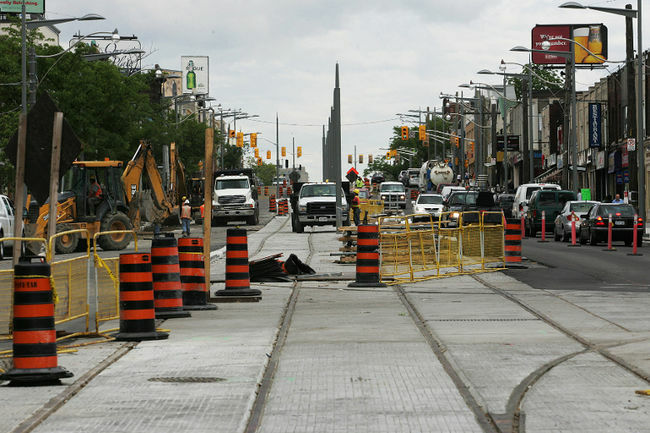 At the same time, arguments against changing the current plan for the Eglinton LRT have been soundly beaten to death. 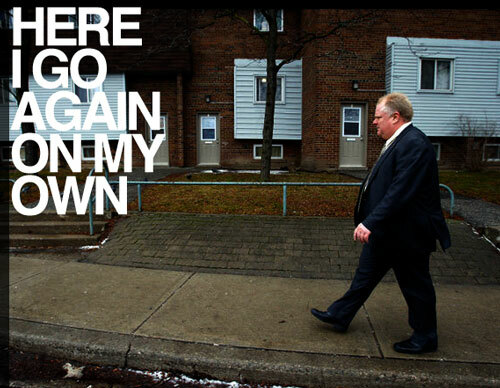 Writing for The Grid, David Hains put together an all-star takedown of Councillor Norm Kelly’s circulated talking points. Ed Keenan and the Toronto Star’s Tess Kalinowski have also contributed great fact-check pieces. 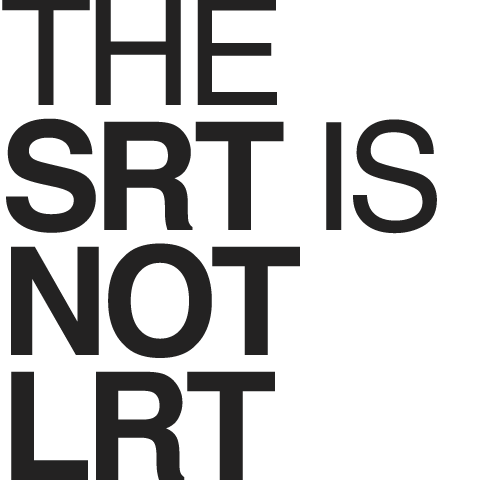 The tired chorus of anti-LRT rhetoric is so predictable and cliché — also, apparently, impotent — that we might as well have fun with it. 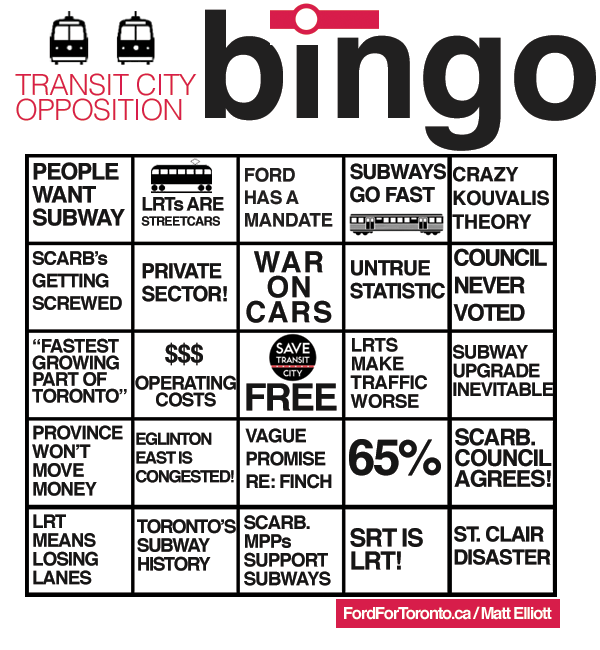 Feel free to take the BINGO card at the top of this post and use it whenever certain Ford-friendly councillors or pundits are discussing transit — if they use enough of the listed arguments to cover a line of spaces, yell “BINGO!” And then refuse to explain yourself. Council will send a strong message with their vote this week, but uncertainty and doubt will linger. The city will have a transit position that the sitting mayor opposes. That kind of situation just isn’t very stable. As much as it would be fantastic if Metrolinx and the TTC could just get to work with the shovelling and the building — free from political meddling — I fear we’ve still got some hand-wringing ahead of us. We can’t even be confident that Metrolinx and the province will want to move forward with a plan endorsed only by a slim majority of councillors. 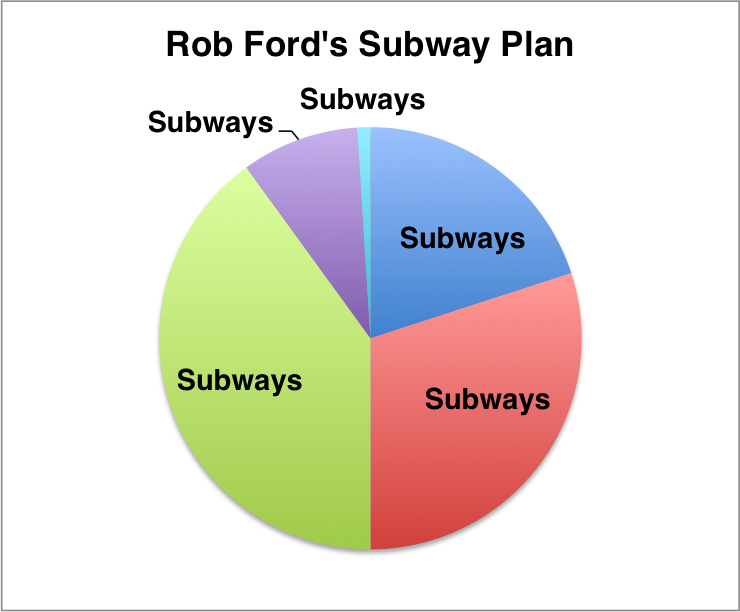 And if Ford decides to seek reelection in 2014, he very well could seek a renewed mandate for all-underground transit. That’ll only open the door for other politicians, who could attempt to put their own stamp on “Transit City”, again throwing things off track. So, yeah, we’re probably not done with this conversation yet. But at least the debate isn’t being buried.